Lately due to projects I've been working on, I haven't been home more than I have been. So, come game-time we hook the laptop's HDMI port into an HD-TV, use the wireless Xbox Controller base and start up Steam Big Picture. Easily controlled with the controller, it allows us to select the game we want to play and more without having to rely on the mouse or keyboard... To sum it up, it turns the PC into a console. There are LOTs of great singleplayer games we can do this with, Skyrim being the primary example, Arkham City being another... but alas when you are at a friend's house and you want to manpolize the TV, it's polite to do real mutiplayer games. Now the mentality of PC games has been for a long time, one player per computer. It's why although Left 4 Dead 2 has Split-Screen co-op hard-coded into it, it is inaccessible for the PC version. You see, that feature is fully functional in the console versions, and through some modifications works on the PC (albeit not very well). Thankfully, Portal 2 had split-screen support patched in, showing the Valve is ready to come out of the darkness and give PC players a helping had into Local Co-Op. 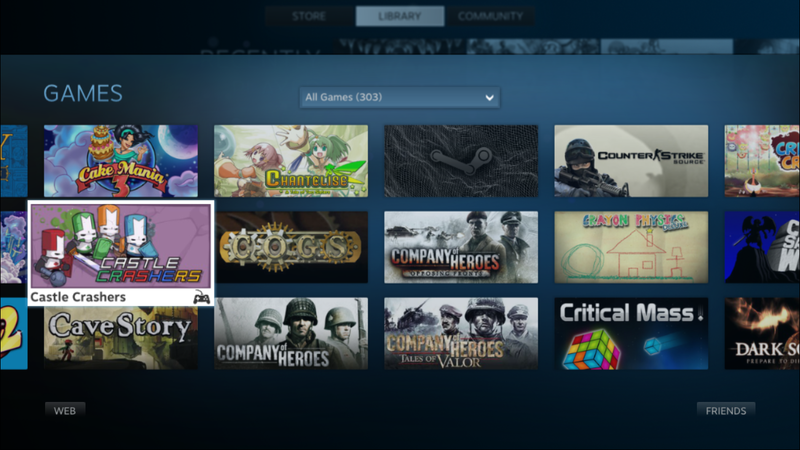 Another extension of this commitment comes in the form of Steam's Big Picture mode which I've already described -- Steam designed for your TV. They've already announced work on the Steam Box, a presumed $999.99 mini-PC that people say will act as a console for PC games and run better than most people's mid-range gaming rigs. This further shows their commitment to making the PC-Console a success, and I'm cheering for it. 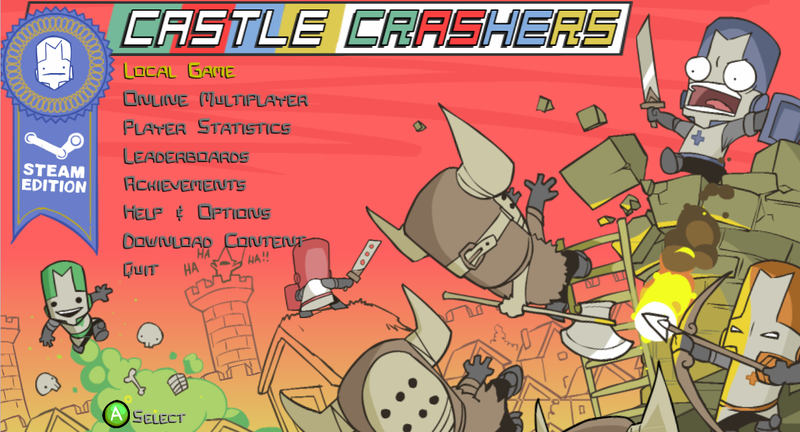 Right now though, while at other people's homes I've only ran Big Picture with Castle Crashers, Magicka, and Awesomenauts. Four player Co-Op is a must in a group... Now, I almost always have at least one, sometimes two girls in the group who honestly aren't as good at gaming as we'd ideally want them to be (they are improving though, I have high hopes!) but it never feels right to have truly competitive play against them when we are in a group setting... that's why local co-op is a must. You can sometimes get away with doing two player adventures like Sonic 4 Episode 2, but in the end when playing with people considerably less skilled than you, I always seem to gravitate toward Co-Op so that we can all enjoy the experience togather. 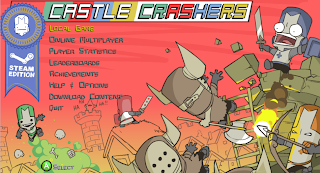 Castle Crashers is the greatest group experience we've had really on the PC, but where are the others like it? I've got over 300 games in my Steam Library, and it's somewhat sad that only a handful of them are suitable for my purposes. Amazing juggernauts like Borderlands 2 simply don't support 4 player split-screen co-op, and other games like Orcs Must Die 2 that proclaim co-op do not support it locally at all. In short I think the future is bright but I'm disappointed in what we have right now. 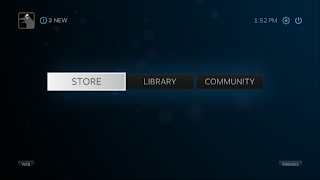 Come on Valve, you've got the infrastructure in your Steam and Big-Screen support, as well as your games library, cloud, steam community... all of it PURE GOLD. I love it all... but it's not enough! Gotta push that envelope!